“Tom and his team fitted a new boiler and repaired part of our central heating system. 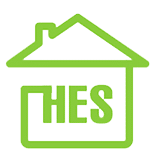 They were very tidy, highly knowledgeable, great value and available to answer any questions about the boiler after it was fitted. We’d recommend them and look forward to seeing them next year for our boiler service. New boiler fitted within a week of their engineers visit. Quality product, excellent work/professionalism at a great price. Cannot recommend these guys enough!!! Great job. The best boiler installation company near you! It can be hard to choose the right company for your boiler installation; let our army of satisfied customers help you make that choice. Our customers have left honest, reliable reviews across a wide range of trusted review sites; click on the icons below to see for yourself. 400 5 Star customer reviews and counting! 400 independent customer reviews make’s Big Boiler Shop the most reviewed and trusted Boiler installation company in the Sheffield City Region. Please feel free to search and read these reviews on Check A Trade, FreeIndex.co.uk, Google, Yell, Which Trusted Trader & Facebook. You can read what some of our happy customers have had to say about the price, speed and overall friendly service that the team has delivered in the last few years. Our small team is more than proud of the customer reviews left on some of the most trusted websites on the net. We have more satisfied customers leaving more reviews on more third party websites than any of our competitors. How do you become a highly reviewed, company? Number one rule. Do a good Job! Give customers different product options allowing them to choose a boiler best for their own budget and requirements. Be Happy. Be polite. Be transparent. Put right any mistakes. Pay for any damages. Be honest. Big Boiler Shop & Hallamshire Energy have a combined total of over 400 customer reviews across a number of websites such as Which trusted Traders, CheckaTrade, Google, Freeindex, Yell.com & Facebook. Read our history in over 400 customer reviews all the way back to 2012.. Totally unedited and live on other websites. Try to find the complaints, there are two! Always use accredited installers for your new boiler! 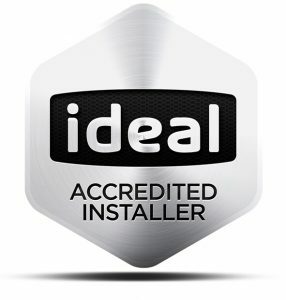 We recommend you always choose accredited installers for your installation. This should ensure you get the highest level of support and workmanship available. 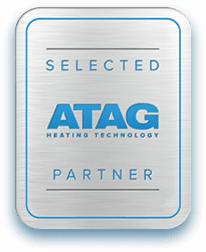 level that means we are approved and accredited installers for all the leading boiler manufacturers. Accredited installers also have access to the longest warranty and guarantee available for boiler installations. 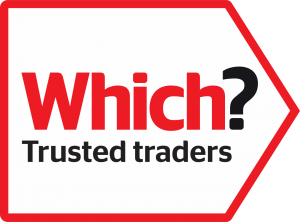 The Which Trusted Trader logo is a sign of reputation and trust. Which only endorse and approve those businesses who meet, comply and exceed their expected level of safety, operation, and service. We have been a proud Trusted trader since 2014. We are very proud to be accredited by all major boiler manufacturers. This means we really can offer full transparency and honesty in our service to you!